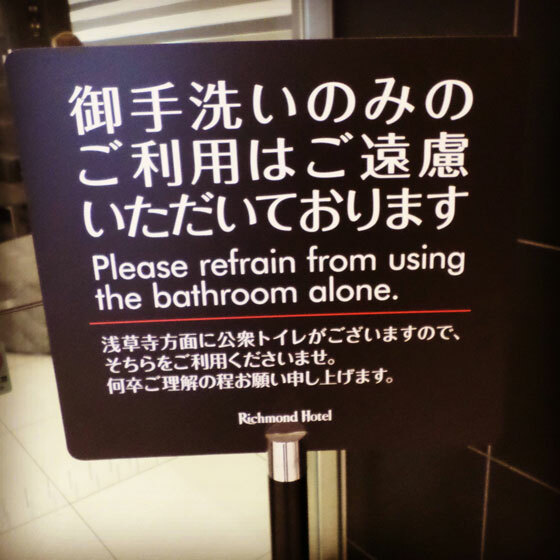 What they mean is “please refrain from using the bathroom only”, or in other words… bathroom is for hotel guests only. Japanese word for “only” can also means alone but out of context when the wrong choice is made when translated. Apparently the Richmond Hotel is located in Asakusa, a popular tourist destination in Tokyo; and many of the tourists flocked in to use the toilet. 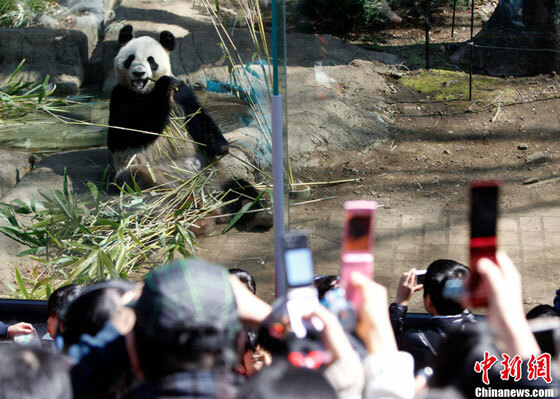 Two giant pandas on lease from China have made their debut at Tokyo’s Ueno Zoo on April 1, bringing some joy for the nation in tragedy. 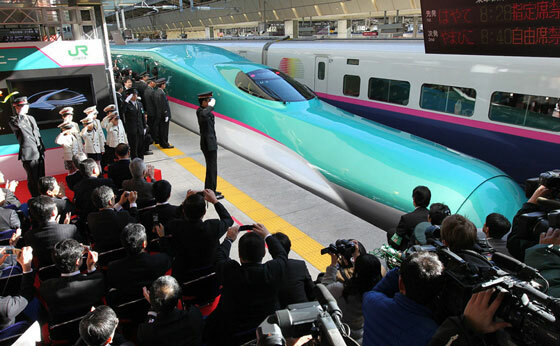 The E5 Series bullet train has started its operation on the Tohoku Shinkansen Line. 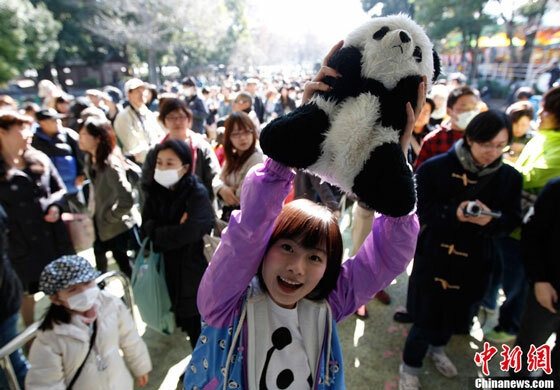 Many fans gathered at Tokyo Station last Saturday to witness its first run. Operated by East Japan Railway Co., the train connects Tokyo Station and Shin-Aomori station in Aomori City, with a top speed of 320km per hour. The Tokyo Sky Tree, which is still under construction, has surpassed China’s Canton Tower (600m) as the world’s tallest tower on March 1. The Tokyo Sky Tree will reach 634m when it’s completed. It’s still not the world’s tallest structure, as the title goes to Burj Khalifa in UAE. Entertainment wise probably the most unusual marathon event worldwide.